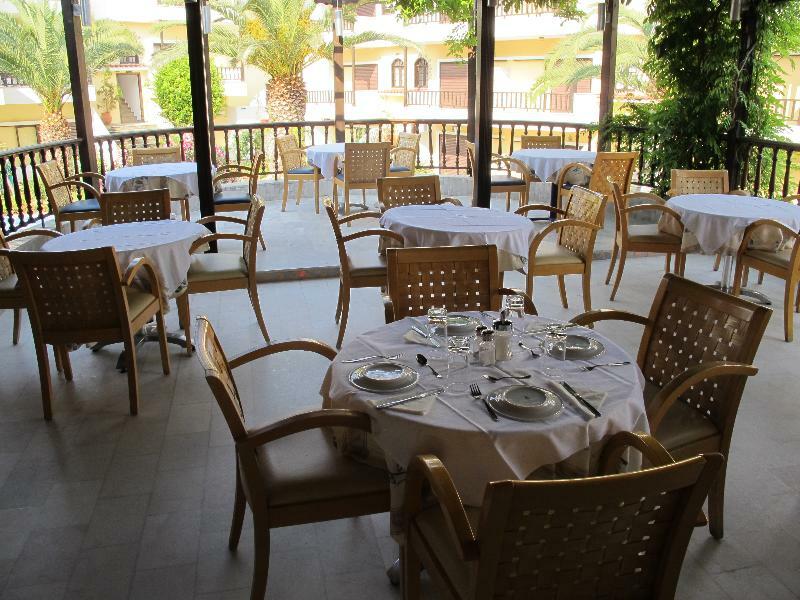 Hotel Calypso is a family owned 3* hotel, perfectly located in the center of Hanioti with easy access to bars, restaurants, shops and only 150 m from the organized beach. 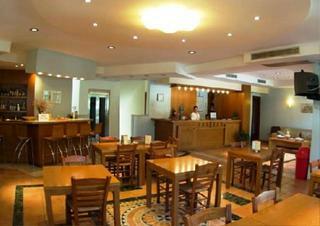 Pahos Hotel is located just 1 kilometer away from the well-known nightlife of Kalithea of Chalkidiki and 500 meters from Kriopigi village. Here, the sheer natural beauty is combined with the cosmopolitan touch of Chalkidiki. The hotel is quickly accessible from the Thessaloniki airport-80 Km away- and is surrounded by the most beautiful and most famous beaches of Kassandra. Surrounded by pine trees and beautiful landscapes, offers unique choices for walking and biking during the day, while at night the music entertainment starts and ends here.Distance from the Beach: ca 250mDistance from the Airport: ca80 kmDistance from the nearest village/town : ca1km Kalithea and ca500m KriopigiAdditional information: Cleaning: TBALinen Change: TBATowel Change: TBABeach description: TBABus stop: TBAATM: TBA The images shown here serve to give a general impression of the hotel. The facilities may be slightly different from these examples as well as the names of the room types. 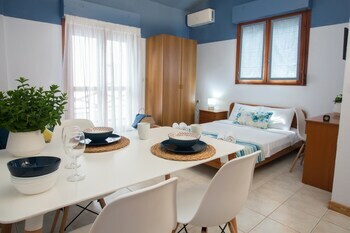 The rooms at this hotel in northern mainland Greece are ideal for groups of friends who like the outdoor life and go hiking in the tree-clad hills and valleys surrounding the village of Kriopigi and then wish to laze around on the beautiful beach within easy walking distance from the premises. There is also a free minibus service to the sea. The 13 spacious and tastefully furnished accommodations have a kitchenette, plus dining room and an en-suite bathroom with tub or shower. 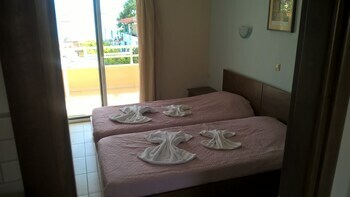 The air-conditioned units have balconies with nice views and the rooftop terrace with sun loungers overlooks Kassandra Bay. 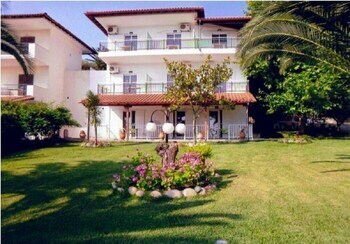 The children-friendly hotel is set in lush and verdant gardens where the kids can play safely and enjoy the atmosphere. 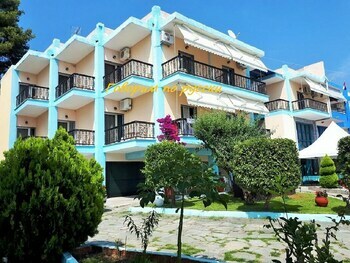 The village centre is only 400 metres from the premises and has many restaurants, bars and supermarkets, and the livelier town of Kallithea is a 10-minute drive.